Salt. It's mandatory in the human diet. But in other situations, salt can be as destructive as it is needed due to its ability to eat holes through metal and leave ugly stains on footwear. Dear Maha: We should be thankful for sidewalk salt in the wintertime because it's effective in helping us avoid injuries from slipping on icy surfaces. The downside, as you know, is that these chunky salt particles get on boots and shoes, causing damage and ugly stains. Cleaning these stains on your leather and suede footwear regularly throughout the winter will help them last and look good for many years to come. Pour 1/2 cup white vinegar and 1/2 cup warm water into a small bowl, and mix well. Dip a clean, soft white cloth into the mixture, and then wring it out so it is not dripping. Dab this wet cloth onto the salt stains, wiping them gently to remove the white residue. Follow with a second cloth you've dipped into the clean water and wrung nearly dry, rubbing gently to rinse away the vinegar solution. Then dry with a clean, soft rag. If stubborn stains remain despite having followed the steps above, moisten a clean, damp sponge with a good saddle soap like Fiebing's Yellow Saddle Soap. Rub it onto the spots in a circular motion. Following the instructions on the label, buff the leather with a dry rag to remove any residue that remains. Brush the stains with a soft toothbrush to loosen any surface salt or other debris. Mix 1 teaspoon blue Dawn liquid dishwashing detergent with 2 cups of warm water and stir. Dip a corner of a soft, clean white rag into the soapy water, and squeeze it gently to release excess water. Dab the stained areas gently. Don't rub or press hard. Leave the boot or shoe to air-dry. When the salt stains are finally gone, brush the dried area with a soft toothbrush or shoe brush until those boots look brand-new. Mary invites questions, comments and tips at [email protected], or c/o Everyday Cheapskate, 12340 Seal Beach Blvd., Suite B-416, Seal Beach, CA 90740. This column will answer questions of general interest, but letters cannot be answered individually. Mary Hunt is the founder of www.DebtProofLiving.com, a personal finance member website and the author of "Debt-Proof Living," released in 2014. 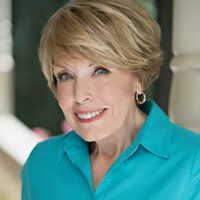 To find out more about Mary and read her past columns, please visit the Creators Syndicate Web page at www.creators.com.